The popping of the gloves, the cracks of the bats, John Fogerty's "Centerfield" on the loud speaker - hearing those sounds this time of year gives baseball fans goosebumps. They signify that Spring Training has arrived and everyone is a World Series contender - yes, even the Chicago Cubs. The Phoenix area hosts 15 professional baseball teams for Spring Training, including Fall Classic favorites Cubs and the Kansas City Royals, with many from all ports of call flocking to the Valley of the Sun to watch their favorite teams. For these fans, it might be wise to pack a little more than just their baseball gloves and ball caps. The area boasts a slew of activities - golf, hiking, exploring - that should excite all aficionados of America's Pastime. Fore! - The Phoenix area boasts more than 200 golf courses, making it one of the most golf-rich metropolitan areas in the country. Expect a little sticker shock and slow play at many of the top layouts. 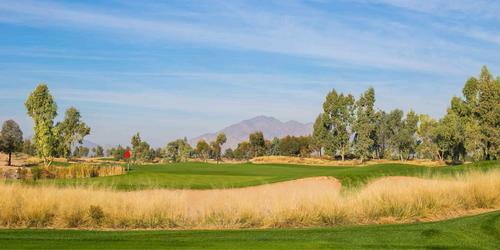 However, there are several clubs offering unique golf experiences and lodging. 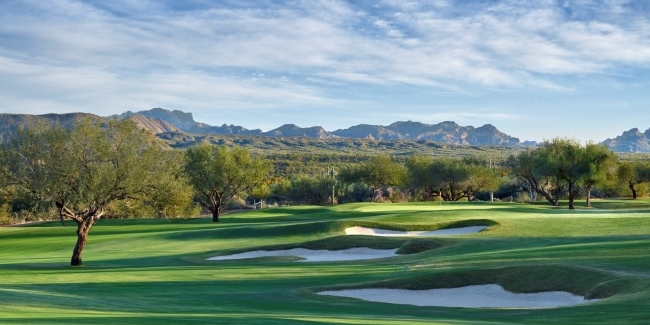 Situated in the northeast part of town, Rio Verde Country Club offers two redesigned Tom Lehman golf courses and a Discovery Stay package that allows guests to tour the community and stay in a guest house. Catch some hoops - This season has been a disappointing one for the hometown Suns. But in February and March, the Suns will take on some marquee NBA teams at home such as the New York Knicks, Los Angeles Lakers, Boston Celtics and Memphis Grizzlies. Talking Stick Resort Arena is located in downtown Phoenix and close to restaurants and nightlife. Ice, Ice Baby - The Arizona Coyotes are fighting for a Wild Card spot, and will also host several marquee NHL teams. Among the teams visiting the Gila River Arena over the next two months to play the Coyotes: the Anaheim Ducks, Florida Panthers, San Jose Sharks, Tampa Bay Lightning and Dallas Stars and Philadelphia Flyers. Situated in Glendale, Gila River Arena is a hike from downtown Phoenix, but the Westgate Entertainment District offers plenty of shopping, dining and entertainment for everyone. Take a hike - Scale the mountains in and around the area, and take in the exceptional views from atop. Among the local favorites - Camelback Mountain near the posh Phoenician and Camelback resorts, Pinnacle Peak on the north side of town and South Mountain. Seeking an under the radar hiking location? Check out the McDowell Mountains and Tonto National Forest near Rio Verde. Combing the desert - One can easily escape to the desert from any outpost in the Phoenix area and indulge in its natural beauty. Companies such as Desert Wolf Tours and Desert Dog Hummer Adventures take guests off-roading through trails on all-terrain vehicles. Various stables dot the outskirts of Phoenix and offer desert explorations via horseback for a full Arizona Old West experience. Water foul - Not only should visitors expect sun-filled days throughout their visit, temperatures are pleasantly warm during Spring Training. Warm enough, in fact, to spend several hours poolside before the first pitch. There are no shortages of pools in the area - every major resort and hotel has one. It's a matter of finding one that matches the mood - from fun and raucous to quiet and peaceful, to glam and celebrity-infested. Fill 'er up - Unlimited miles on the rental car? If so, fill up the tank and escape the Phoenix area for a day trip to outstanding destinations less than a four-hour drive away. Travel a few hours east on Interstate 10 and check out Tucson, a thriving city that is also home to the University of Arizona. Many visiting Phoenix, and especially locals during this time of year, head north to Sedona for relaxation and spiritual healing. Go a little bit further north beyond Flagstaff, and there's the Grand Canyon. All are reachable in the same amount of time as a nine-inning ballgame.